Eve Online is a world unto itself with its own rules, people and plots. It’s a virtual life for its participants and they create their own world. CCP Games needed to find the best stories from the first decade of the EVE Universe directly from the players themselves to use in spin-off products such as comic books, TV shows, books and movies. Your Priorities was used to create a customized solution for the EVE Online True Stories project. “The community of EVE Online is the fabric on which the game is built. The Citizen Foundation software gave our playerbase a platform to shape their own history, through the telling and voting of their stories. It was a great tool to empower the people that really make EVE Online, the players themselves, without whose narrative the dynamic universe of EVE Online would just be yet another computer game” – says Torfi Frans Ólafsson, Creative Director – EVE Universe IP. 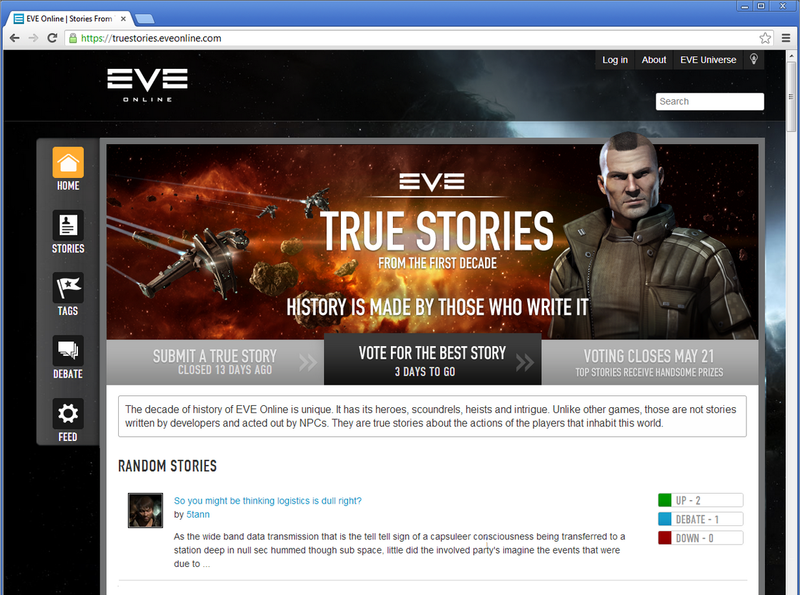 In April 2013, EVE players were asked to submit their stories on the True Stories website and they did so, some even showed multiple screen shots from the game and also added whys and hows to the stories. The site was open for submissions for a month until the tenth anniversary of EVE Online. The community then voted for the stories for 14 days – resulting in a list of the best stories that have happened over the past 10 years. Or, to put it another way, the best stories that have happened 10.000 years in the future. The first comic book is already out. It is a 64-page comic book, splitted up into four 16-page chapters.